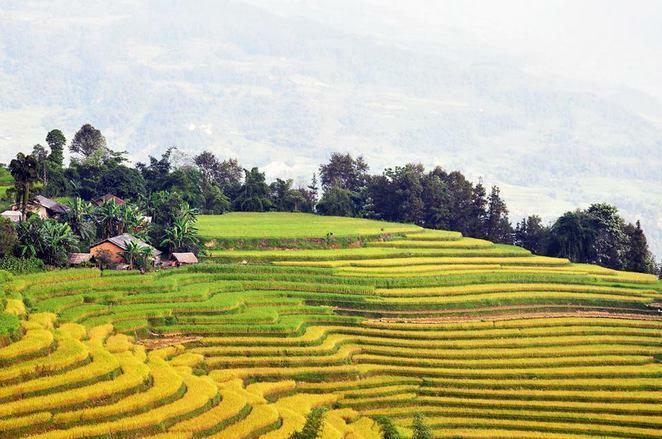 When the fall comes, groups of travelers and photographers flock to the border mountainous district of Hoang Su Phi to admire and take pictures of yellow rice fields. 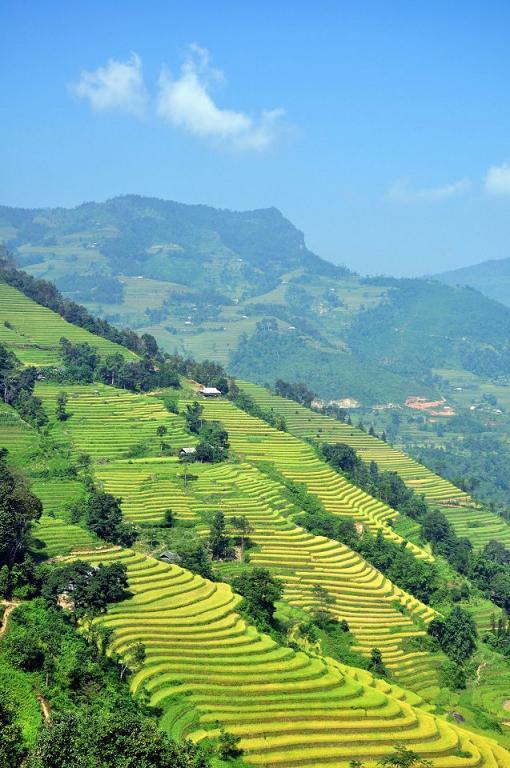 Hoang Su Phi is a border mountainous district of Ha Giang province. 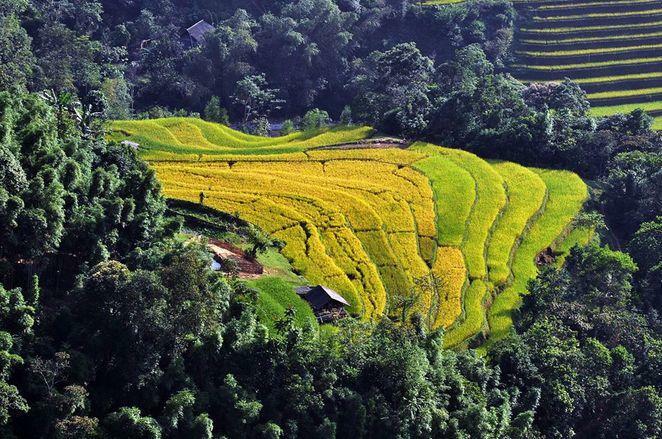 According to Chinese transliteration, Hoang Su Phi means “gold bark.” The road to Hoang Su Phi is long and rugged but it does not prevent travelers to pass 300km from Hanoi to witness the yellow season here. 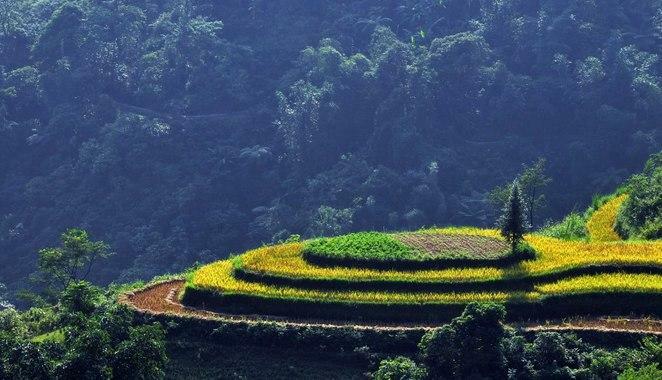 In the autumn, Hoang Su Phi is quite crowded with travelers and vehicles because it is the time the wide valleys of terraced fields are covered by the yellow color of ripen rice. 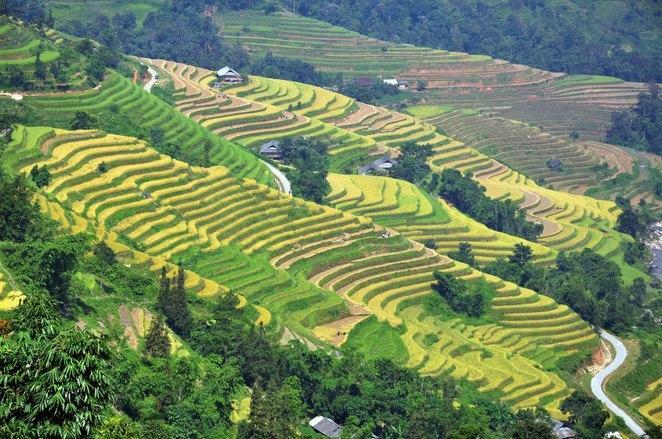 Looking at thousands of hectares of ripen rice terrace fields spread across the valley, it is not superlative to call Hoang Su Phi the “magnificent work” of the local people. 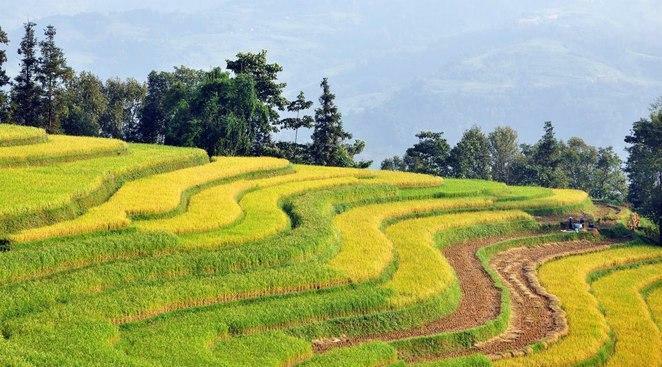 The ripen rice season in Hoang Su Phi usually begins in late September, early October. 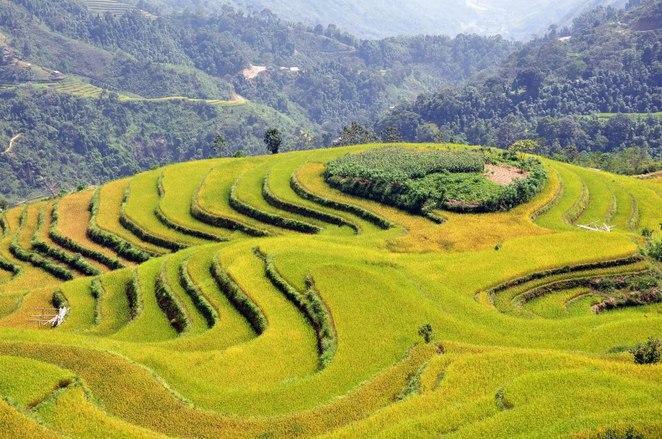 The Hoang Su Phi terraced fields include the system of terrace fields in Ban Luoc and San Sa Ho communes of the Dao and Nung ethnic groups, in Ban Phung commune of La Chi ethnic group, in Ho Thau, Thong Nguyen and Nam Ty communes of the red Dao ethnic group. 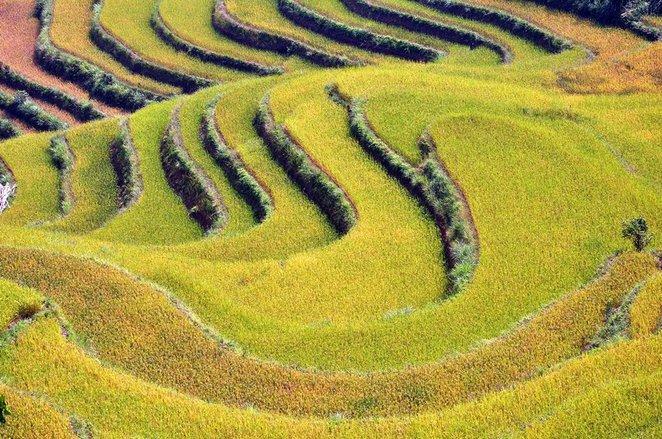 In 2012, Hoang Su Phi terraced fields were recognized as national heritage. On the way to Thong Nguyen commune, Hoang Su Phi district, anyone has to stop to take some pictures of the roadside terraced fields. 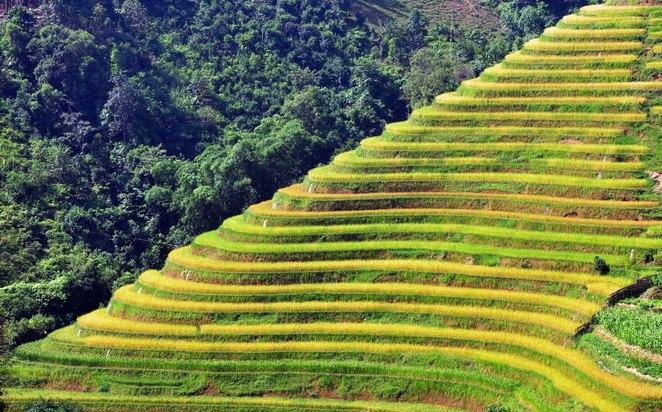 If you visit Hoang Su Phi in the early season, you will see the blue and yellow color alternating on the terraced fields. 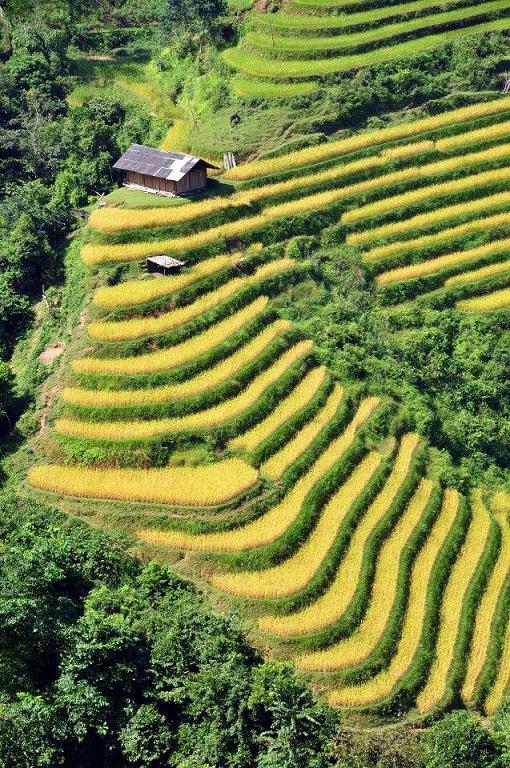 If you go to Hoang Su Phi amid ripen rice season, you will see only the yellow. Hoang Su Phi is still “intact”. In addition to the beautifully terraced fields, you will also meet with the hospitable and cute local people.